Welcome | Moore, McKibben, Goodman & Lorenz, LLP. Moore, McKibben, Goodman & Lorenz, LLP. Moore, McKibben, Goodman & Lorenz, LLP. was founded in 1885 by B.F. Cummings. He was joined in the practice in 1896 by Gilbert Mote. The office obtained its first telephone in the year 1900. Over the years, the firm has been known as Cummings & Mote; Mote & Wilson; Mote, Wilson & Welp; Welp, Harrison, Brennecke & Moore; Moore, McKibben, Goodman, Lorenz & Ellefson, LLP; and its current name Moore, McKibben, Goodman & Lorenz, LLP. 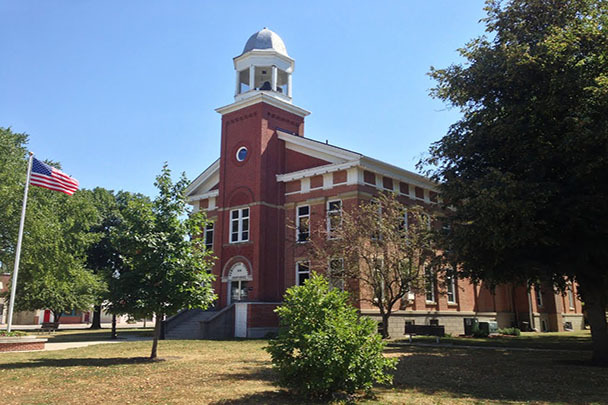 For 134 years, we have provided a broad range of legal services to individuals and business clients throughout the counties of Marshall, Grundy, Hardin, Tama, Story, Jasper, and Poweshiek. 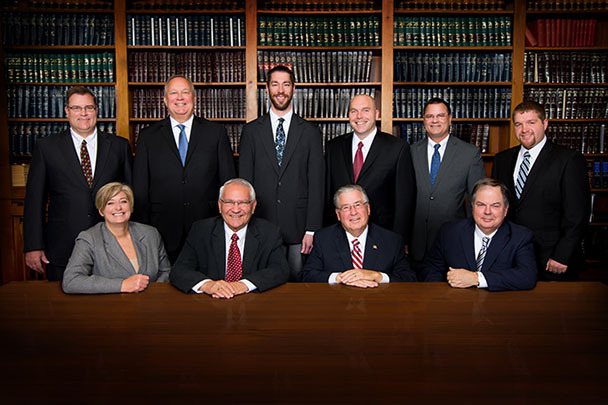 We represent clients at every level of the Iowa state court system and in the United States Tax Court, District Courts and Court of Appeals. The firm has always been located in downtown Marshalltown. In 1960, the offices were moved to their present location on the 3rd floor of the Masonic Temple Building on the east side of the Courthouse Square. We are a full-service law firm with a general practice including but not limited to: Wills, Trusts, Estate Planning and Probate Law, Tax Returns, Agricultural Law, Business Law, Real Estate, Bankruptcy, Social Security Law, Family Law, Administrative Law, Appellate Practice, Banking Law, Collections Law, Commercial Law, Contracts, Corporate Law, Criminal Law, Debtor and Creditor, Elder Law, Franchise Law, Health Care, Litigation, Personal Injury, and Taxation. The firm has had its business office in Marshalltown for 134 years. 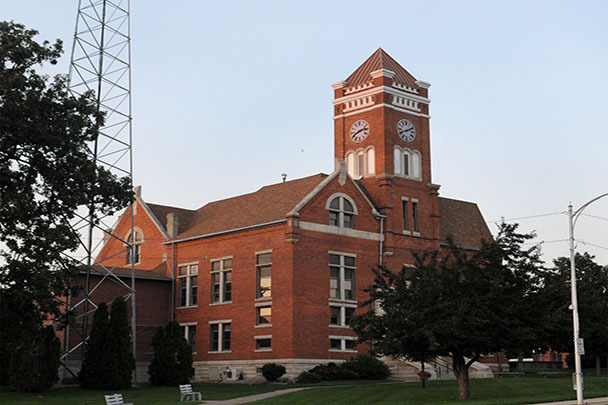 In 2007, the firm expanded and opened an office in Montezuma, Iowa. In 2014, the Toledo law firm of Mickelson, Roan and Appelgate merged with the firm. 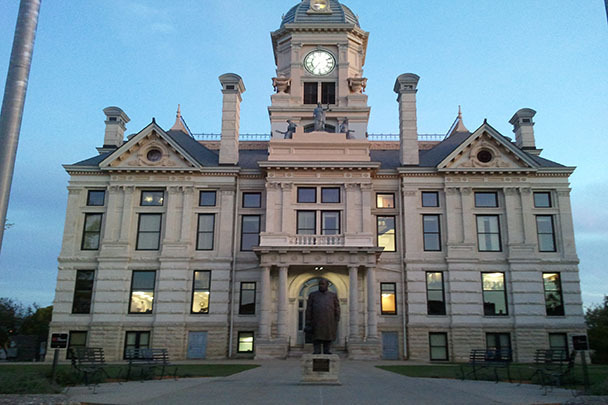 As a result, the firm now has offices in each of the county seats of Marshall, Poweshiek and Tama counties. Moore, McKibben, Goodman & Lorenz, LLP. has represented generations of families and businesses with prompt, quality, professional services. We are proud of our 134 years of providing legal advice and counsel to our clients in central Iowa.